If your formative years occurred during the 1990’s, you would have been a rabid fan of Jerry Seinfeld. The self proclaimed show about nothing captivated it’s Thursday night audience. Between Seinfeld and Friends, as well as the fact that there were no PVR’s at that time, no one dare made a move outside until the shows were over. It was pure, mindless fun. 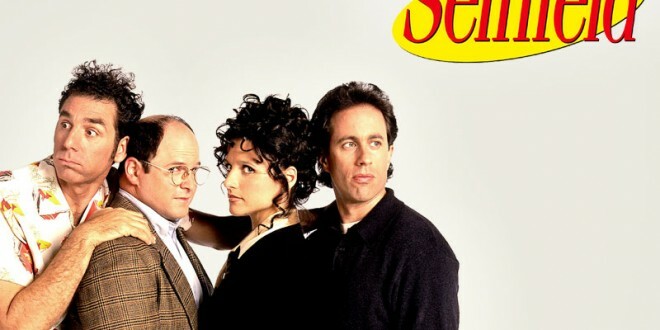 Its no wonder then, that after all of the years of reruns and program analysis, you can see how Seinfeld’s casual observations influenced a generation of people. Who doesn’t know what a close talker is? How many times have you gone in the cold water and considered the concept of shrinkage?? How could you not sympathize with Kramer’s sleep issues when the bright neon lights of Kenny Roger’s chicken were blinding him? It’s not surprising that those of us who never missed an episode can see other applications for Seinfeldisms. As applied to challenges when dressing your child. If there is one thing that the puffy shirt episode taught us, it’s that sometimes you just don’t want to be a pirate. Don’t force your kids into clothes they don’t like. Severe long lasting personal trauma can be had from having to wear the proverbial puffy shirt. If every instinct that you have is wrong, the opposite must be right? Right? I’d say so. We could all learn a parenting lesson from George Costanza. When you are struggling with certain parenting issues, take a tip from George and try to work the solution out in the complete opposite way that your instincts tell you to. You may be pleasantly surprised. Or you may crash and burn. Either way your odds are even. Just because you live next door to someone doesn’t mean that you have to hang out with them. Del Boca Vista is a lesson to us all. If you can’t stand your neighbors, don’t invite them over for a weekly BBQ. When your neighbors let their kids run wild and expect you to watch them, feel no guilt when you send them home and hide out in your own backyard for the rest of the summer. This is why you bought the tube slide after all. Make use of it. How do you get through a day where the kids are destroying your house, the phone is always ringing, and you can’t leave life’s stresses at the door? Simply state, Serenity Now and wipe your cares away. This approach also helps if you have been able to clear out your house first. Serenity now is much easier if no one is home. Venting is an important part of parenting. Don’t wait for a once a year special event to air your grievance like they did for Festivas. Get out your metal pole (the curtain rod works well, and if you have kids like I do, it’s probably gathering dust under your bed instead of holding up your curtains), stomp it into the ground a few times, and let your family know what bothers you. You will be a happier person for it. They probably won’t be, but that’s not your problem. Isn’t it nice to share experiences? Didn’t you love it when, as a new parent, someone told you exactly what to do and how to do it? Then why wouldn’t you want to be a mentor? You might not need them to write a summary of your Risk Management text book, but rather change a few of your kid’s diapers or sort through your ever growing sock pile. 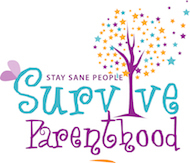 There are vital lessons to be taken from sharing your parenting experiences with someone less experienced. At the very least, they will know exactly what NOT to do. There are as many different styles of parenting as there are parents. Everyone does it differently, with a dash of permissive parenting, maybe some authoritative thrown in, and mostly a fly by the seat of your pants mentality. Although Jerry certainly didn’t have children when he was writing Seinfeld, I can’t help but wonder if he somehow was planting little nuggets of wisdom for the masses. Either that, or I watch too much television and I have no other way to put my Psychology degree to use. Next Mom Tech Tip: Is your iPhone battery draining fast?